[09. 4. 2019] On 4 April the European Parliament adopted the new EU work-life Balance Directive. It introduces new and strengthened rules for reconciliation of famliy and work life. 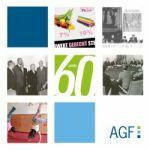 AGF, jointly with German Women's Council, Federal Men's Forum, Family Future Forum, and German Trade Union Confederation comments the results. More courage for equality and fair compatibility, please! The new EU work-life balance Directive strengthens social Europe, but does not provide any incentives for further development in Germany. Finding a fair balance between work, family and private life is still a major challenge for employees in Europe. Many women and men are restricted in their freedom of choice by role concepts and structural frameworks and are prevented from finding a self-determined arrangement. Women in particular are often forced to leave the labour market temporarily or to reduce their working hours due to family responsibilities and a lack of support, for example when it comes to caring for relatives. This has a negative impact on their career, their income and thus also on their social security. Policy measures concerning families and equality have already significantly improved the work-life balance in Germany in recent years. However, there is still no gender-equitable distribution of requirements that enables mothers and fathers alike to work and care for their children or relatives in need of care together. In April 2017, the European Commission proposed the work-life balance directive as part of the European Pillar of Social Rights, in order to increase the proportion of women in the labour market, promote the care work by fathers and improve the rules on the reconciliation of work and private life. After two years of negotiations, the Directive has now been adopted in a watered-down form by the European Parliament. Two important policy impulses for families and equal opportunities are the two-week paid paternity leave and the extension of parental leave. EU-wide, each parent will in future be entitled to four months' parental leave, of which two months must be paid and which are non-transferable. However, Member States may determine the level of pay themselves. The same applies to the five-day carer’s leave which is laid down in the Directive. This represents a major step forward in reconciling work and family life across the EU. In Germany, however, nothing will change. The Commission's original proposal provided for more far-reaching regulations, which were clearly cut down. The original proposal included the individual right of both parents to four non-transferable months of parental leave, paid at the level of sick leave. This would have created a much stronger incentive for fathers to become involved in caring work on a partnership basis. In addition, fathers would have been given convincing legal means for their employers to enforce their wish for active participation in family life. However, instead of the four months, the line advocated among others by the Federal Government, and which later has prevailed in the negotiations, was only two paid, non-transferable parental leave months. 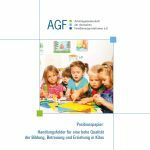 Those measures already exist in Germany with the so-called Partnermonate in the scheme of the Elterngeld (parental allowance). The Commission was able to enforce the ten days' paternity leave, paid at the level of sickness benefit. However, this paternity leave may be offset against existing national parental leave schemes if they reach a certain level. This is the case in Germany, therefore the Directive will not lead to substantial national changes. With regard to a specific paternity exemption, Germany thus lags behind other EU states. The flexible working arrangements for parents (from children up to eight years of age) and carers are not laid down as a fundamental right for employees. Instead, only a right to apply for them is to be introduced. A general right to flexible working arrangements could not be enforced in the Council. Employers now examine and respond to applications for flexible working arrangements taking into account the needs of both employers and employees. Employers must give reasons for rejecting or postponing applications. The right to employment after paternity leave, parental leave and carers leave was laid down: Employees are entitled to return to their previous job or to an equivalent job and to benefit from all improvements in working conditions to which they would have been entitled if they had not taken parent/care time. Despite a significant reduction in its proposal, the EU Commission speaks of a "huge step towards a more social Europe". The Federal Government also appreciates the compromise on the directive as a "milestone in family and equality policy for Europe". 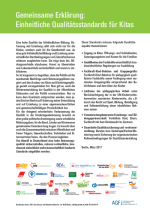 The undersigned welcome the fact that an agreement has been reached which is legally binding across the EU for more partnership-based responsibility of women and men for care work and thus improving the compatibility of family and career. This step strengthens the European pillar of social rights. Especially now, before the European elections, it is important that the pillar is finally strengthened with a first legislative instrument. At the same time, the undersigned would have liked to see a clearer signal for the compatibility of the various areas of life and a fair distribution of family responsibilities between the sexes, in order to strengthen partnership in the division of employment and care work. In its current form, the new directive does not bring any improve-ments in Germany. The undersigned call on the Federal Government to take its own legal measures to improve the work-life balance and to promote gender equality. These include, for example, the gender-equitable extension of the partner months for parental allowance, the realisation of a paid paternity leave after birth as an independent benefit and the introduction of a care period with an appropriate compensatory payment, e.g. in the spirit of parental allowance.